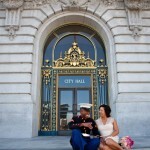 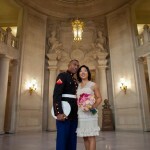 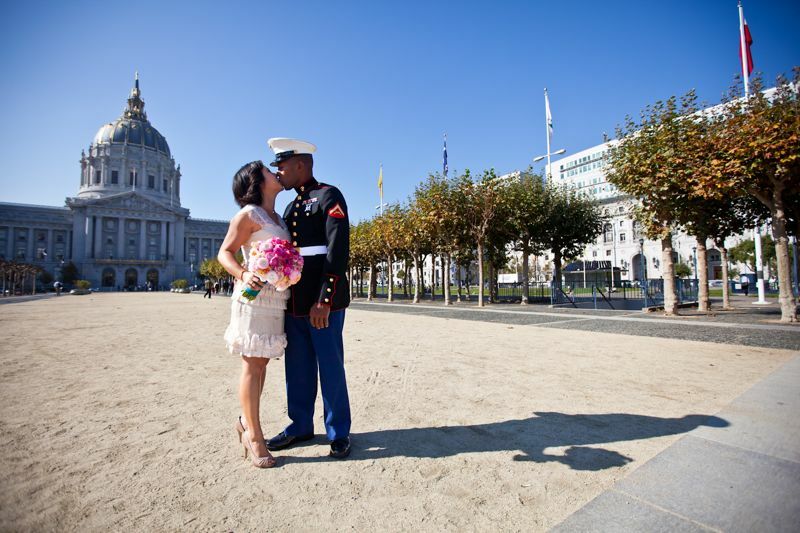 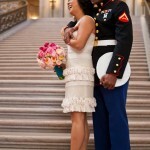 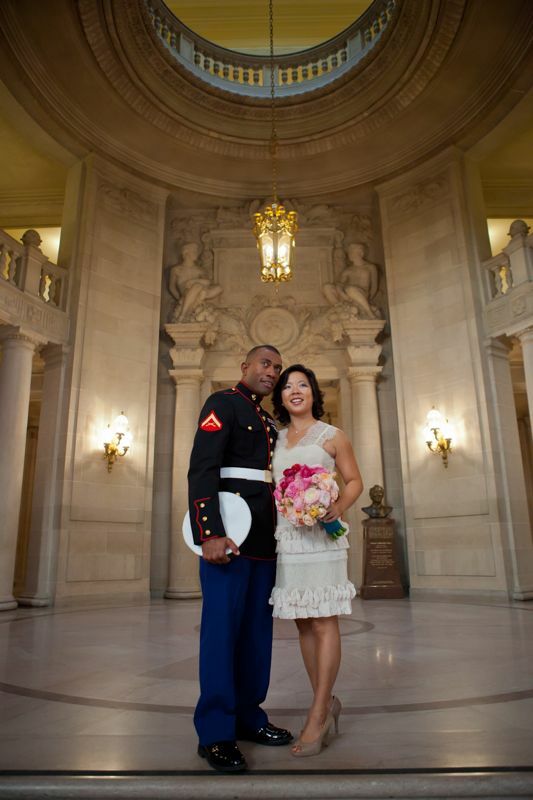 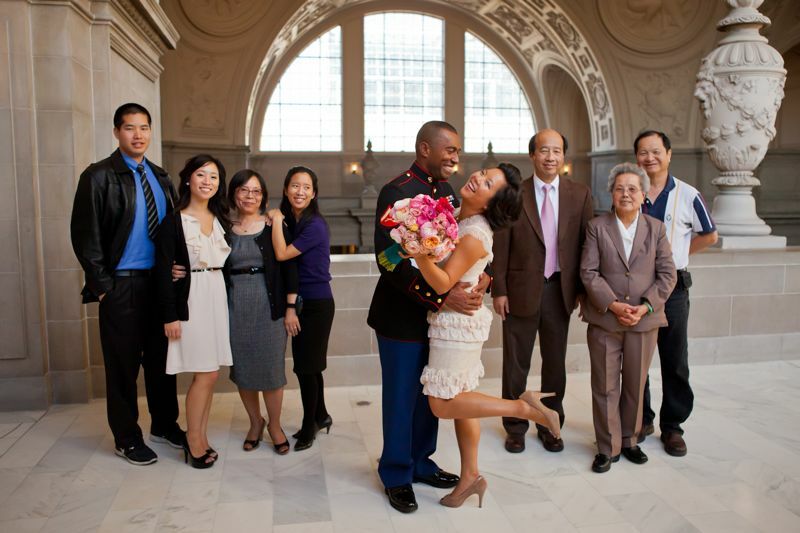 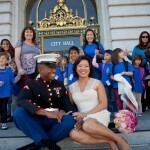 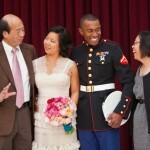 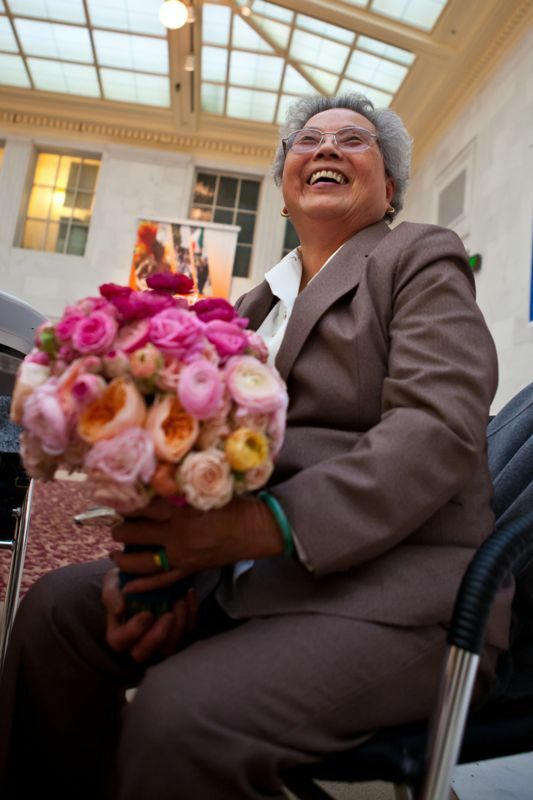 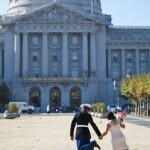 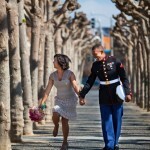 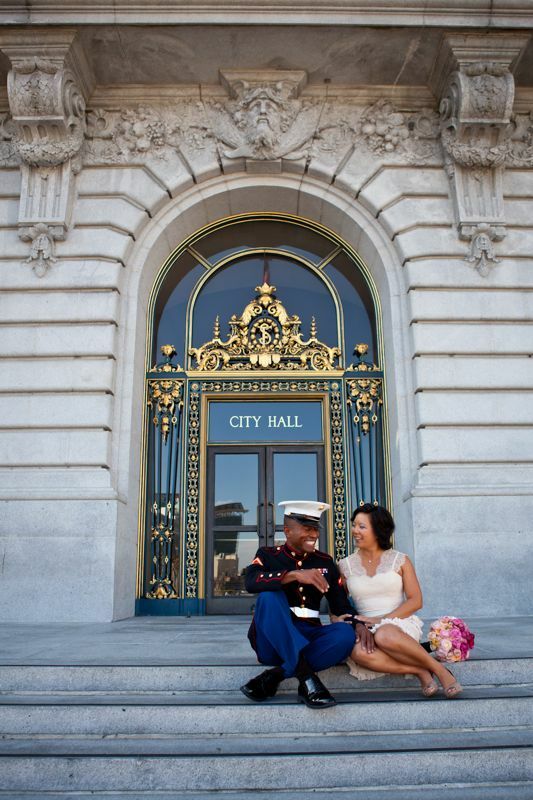 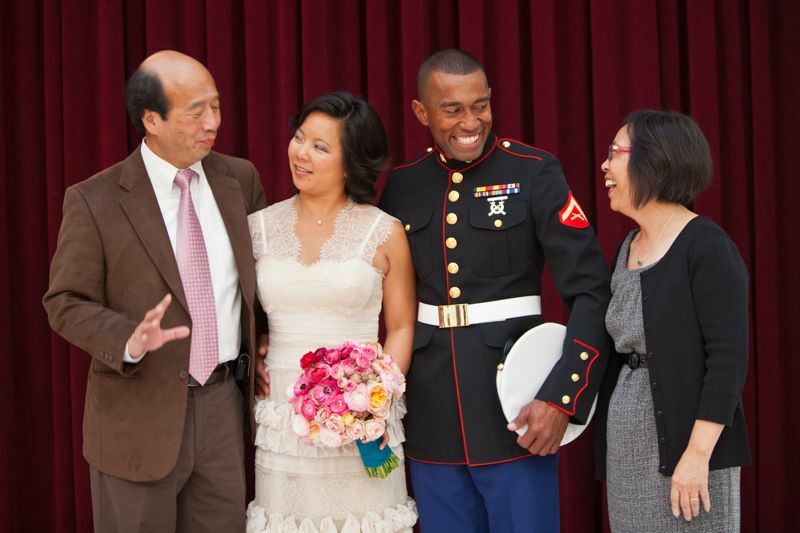 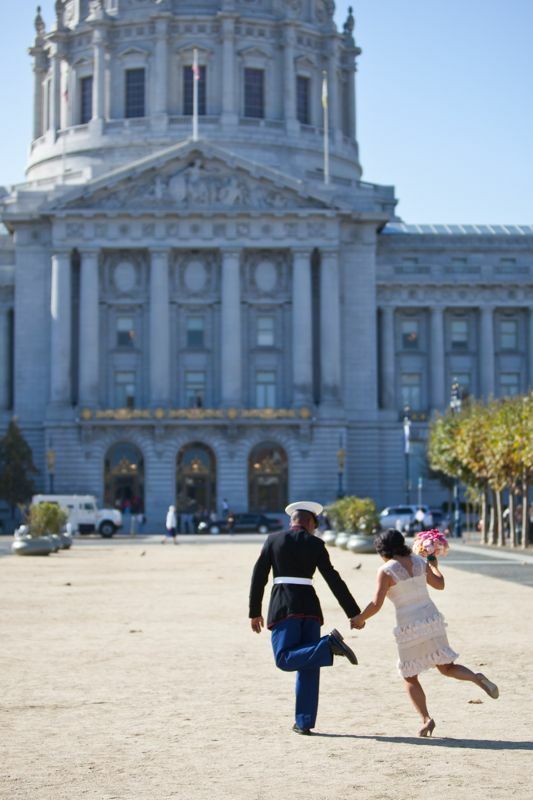 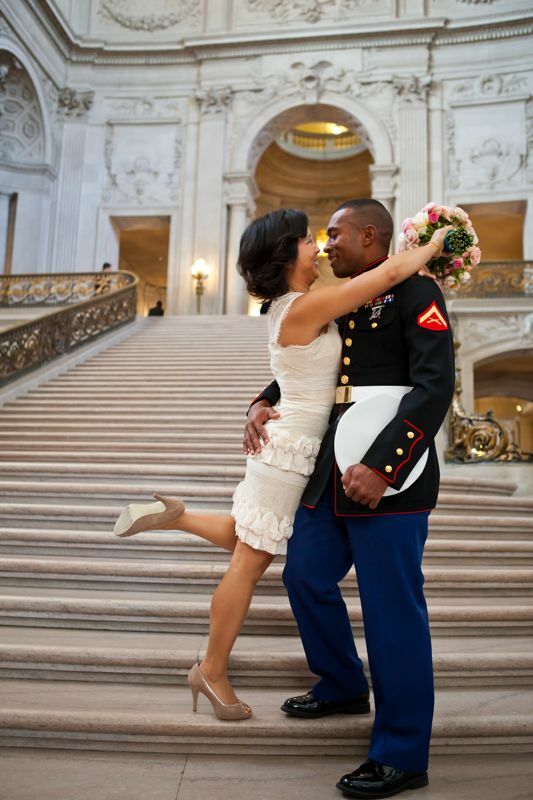 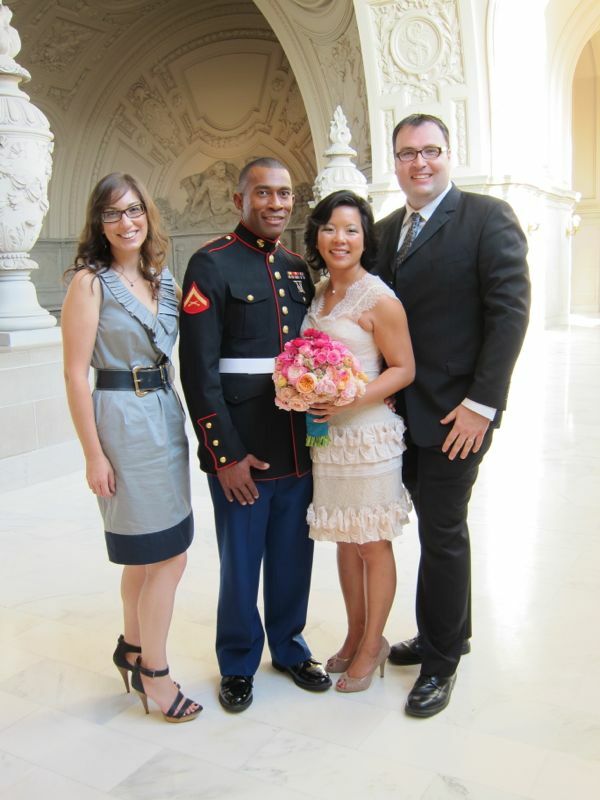 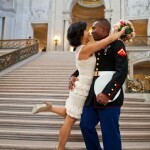 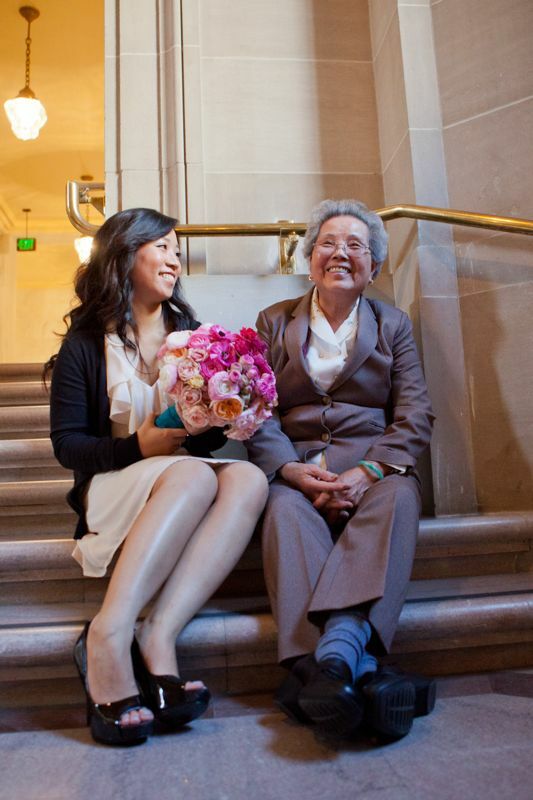 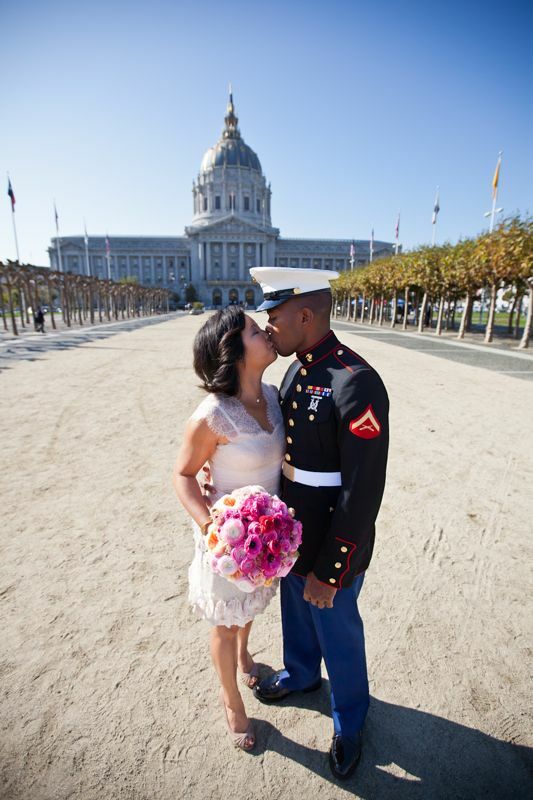 The day before Veteran's day was the day A Bride’s Best Friend’s best friend got married. 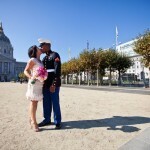 Did you get all that? 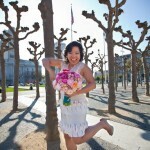 I just sent my BFF from High School down the aisle a couple of days ago. 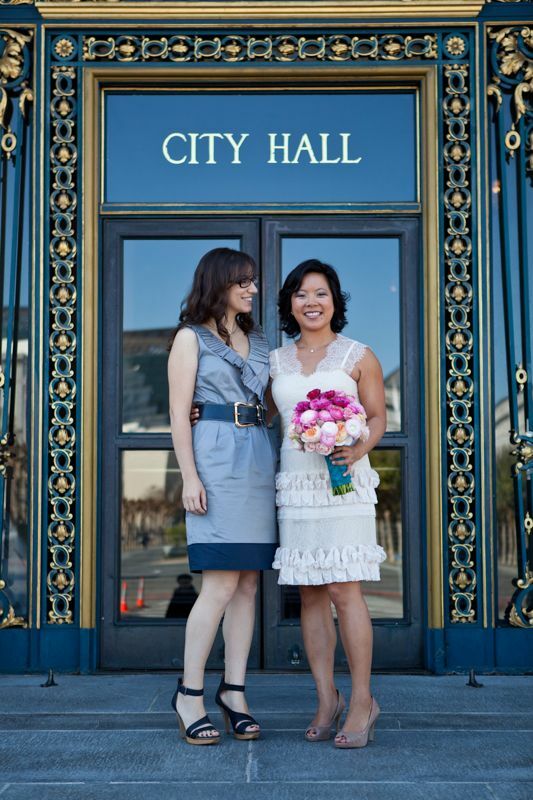 Erica is my opposite in almost every way (she = minimalist, me = pack rat) so I wasn’t surprised when she said she wanted a small civil ceremony at City Hall. 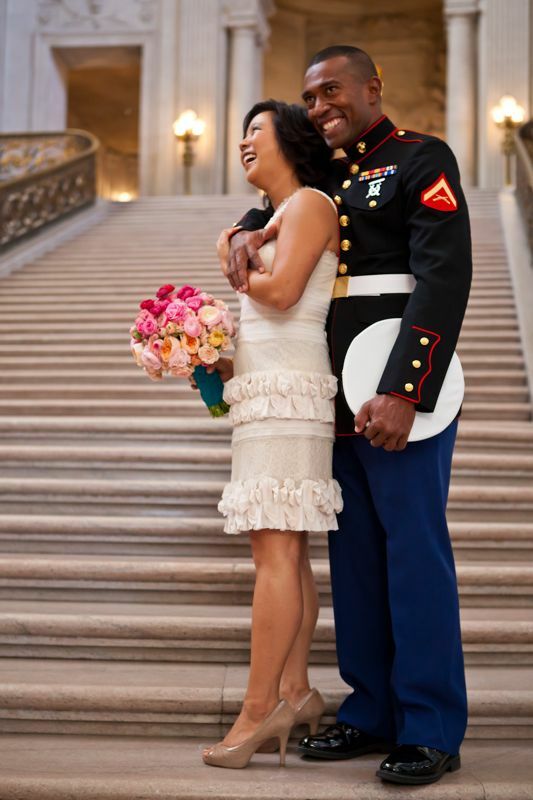 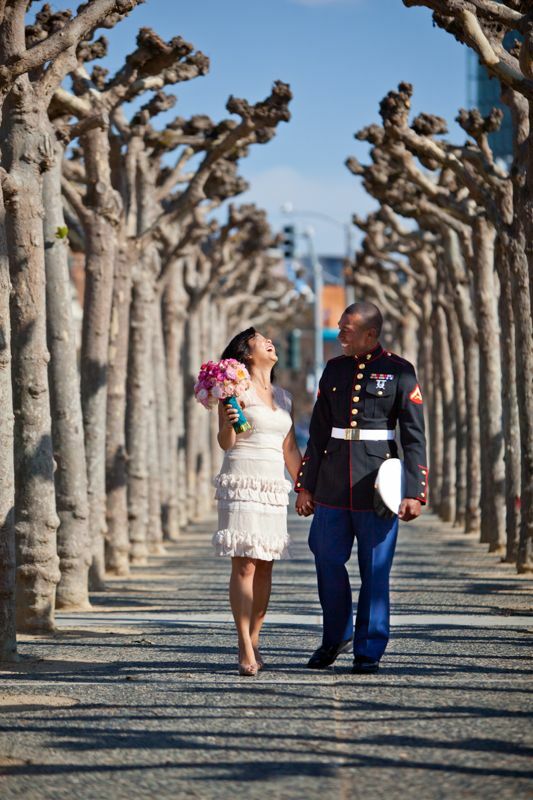 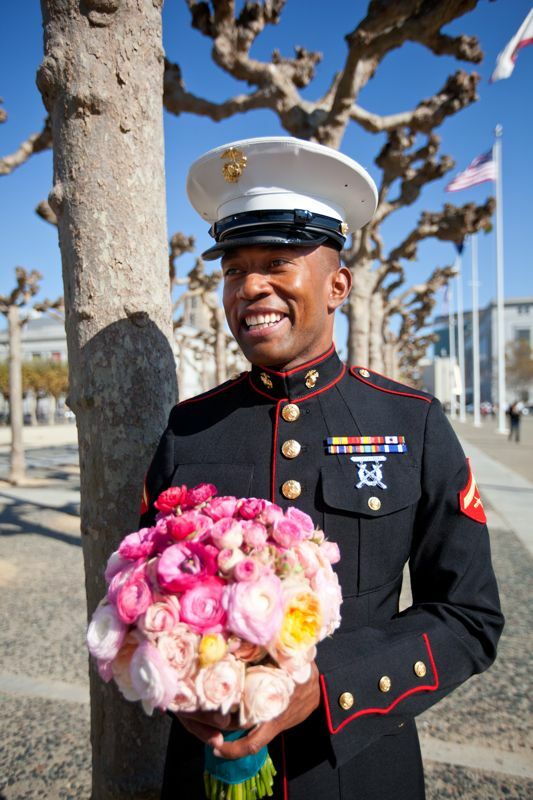 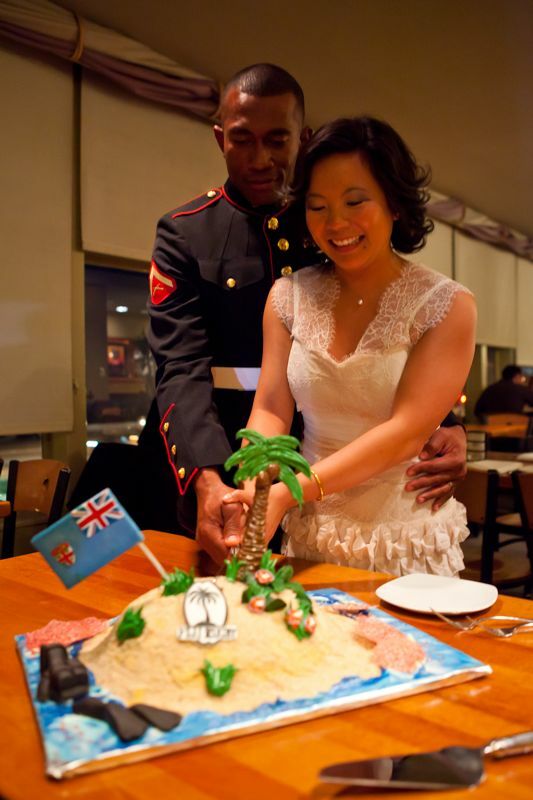 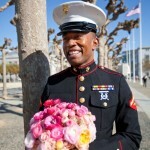 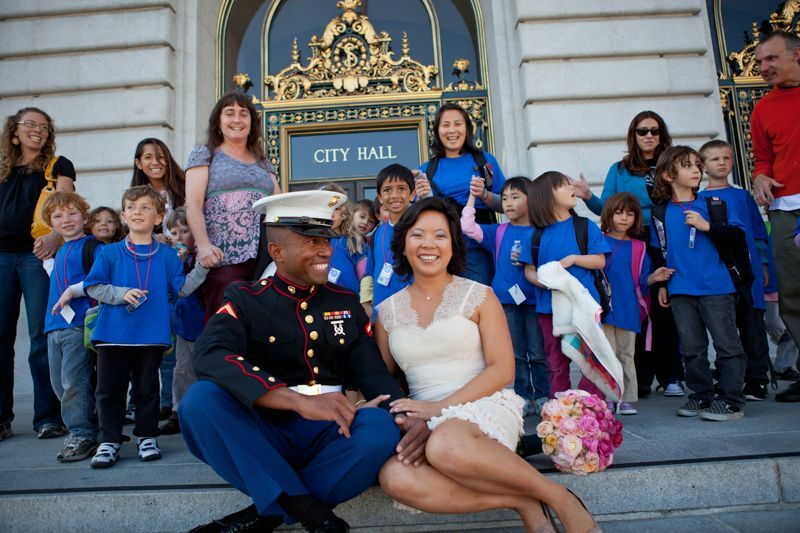 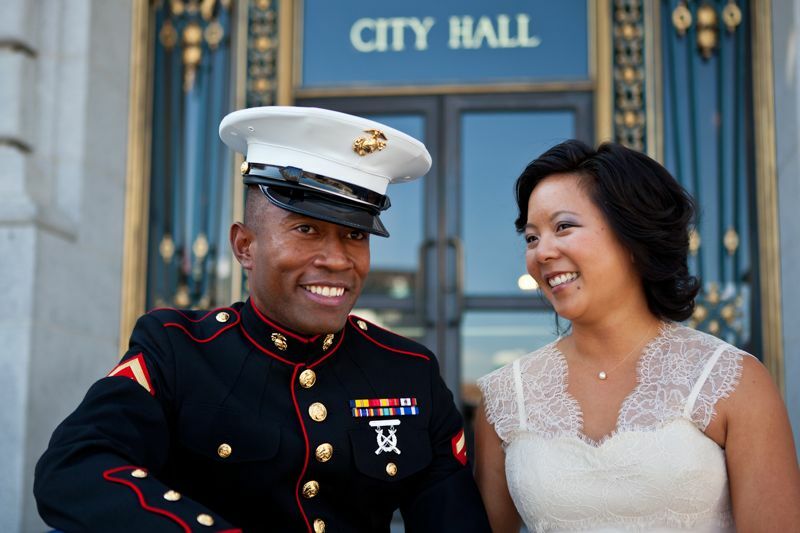 Her sweetheart, Tukana is an active duty Marine, and he picked November 10th, the day before Veteran’s Day to tie the knot. 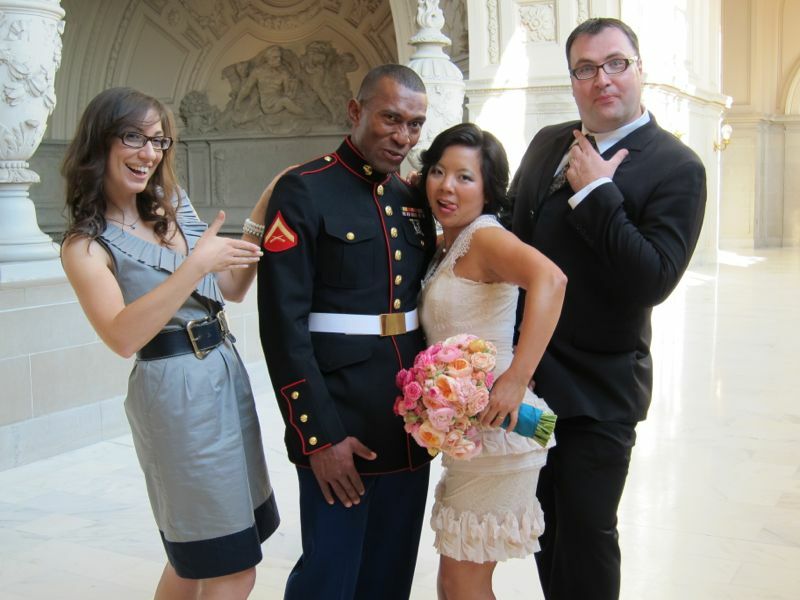 Erica is the biggest goofball I know, which doesn’t stop just because a camera is pointed at her. 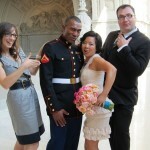 It was actually hard to pick my favorite goofy photo, since there were so many! 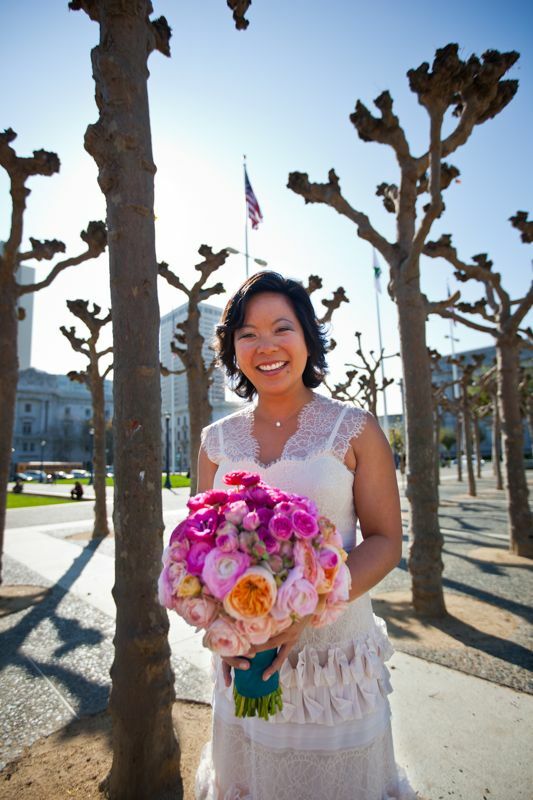 I couldn’t let her get married without a bouquet, so I enlisted the help of one of my favorite florists, Amy Burke, to create her bouquet. 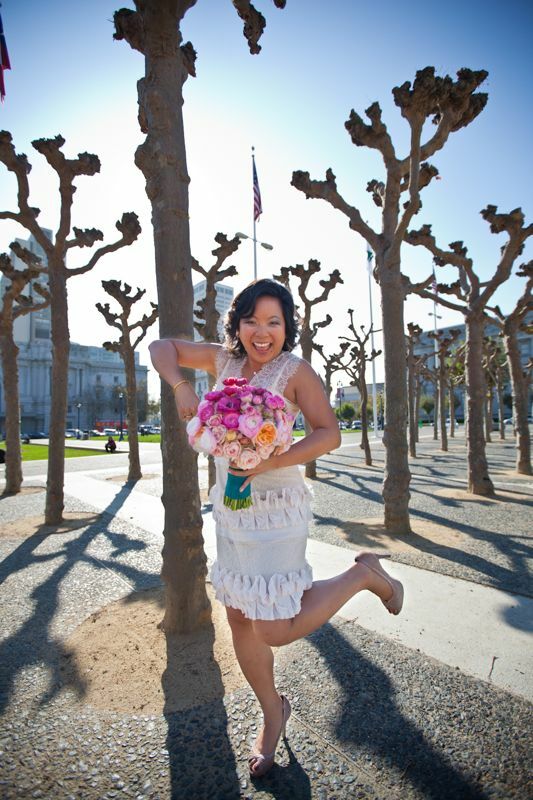 Even though her dress is quite soft, Erica is really quirky, so I wanted a mix of soft and bright colors that would both compliment and pop against her creamy, antique pink dress. 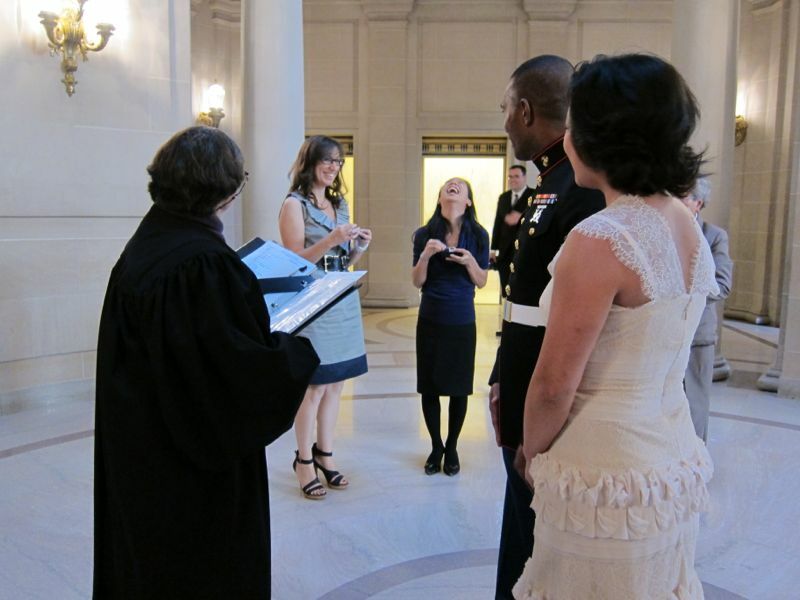 Even though there was no processional, I ordered a few “Here Comes the Bride” music boxes, and enlisted her sisters to “play” her down the aisle. 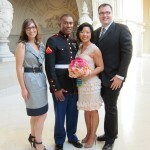 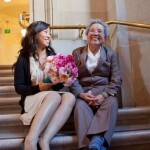 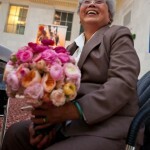 Erica’s face glowed as they exchanged vows and I couldn’t help tear up! 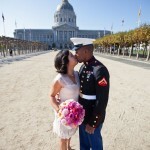 I had Celebration by Kool & the Gang cued up on my phone to lighten the mood during their kiss. 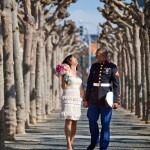 We cheered them on, and went off to take a few more pictures. 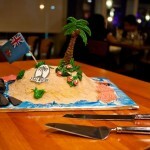 We finished the day with an intimate dinner at the Beach Chalet, with a special surprise cake from Gaby over at Cake Coquette. 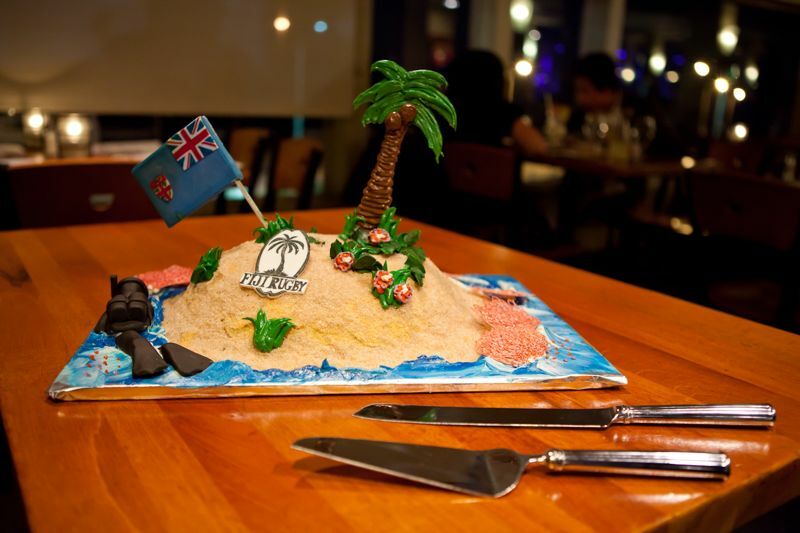 Since Erica met Tukana in his native Fiji on a scuba diving trip, I had their cake made as a replica of the island, which they loved! 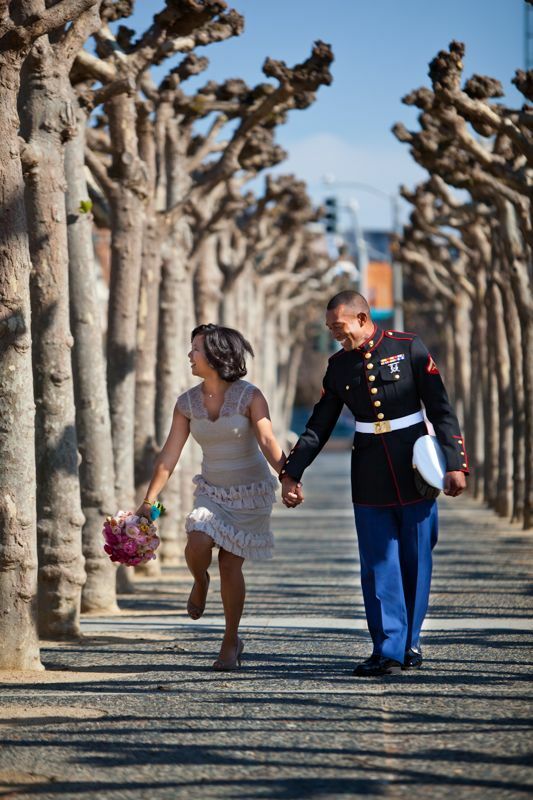 Tukana deploys to Afghanistan at the end of the month, so the time they have together now is quite precious. 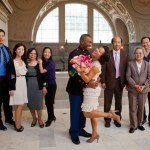 I’m thrilled and honored to witness their celebration, and can not wait to see the joy they create together. 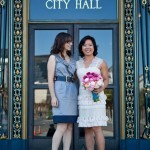 Thank you for being my best friend in real life and the best wedding planner on the day of! 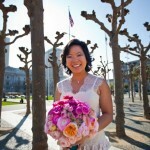 It was great to experience your mad skills (hair, makeup, emergency kit on the go!) 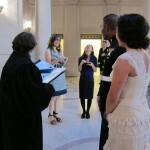 – and now I can say from wedding experience how awesome you are.